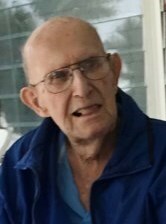 Obituary for David Karl Warner | Edder Funeral Home, Inc.
David Karl Warner, 82, of Punta Gorda, FL, formerly of Girard, passed away on January 30, 2018 at Bayfront Health, following a long illness. He was born January 15, 1936 in Girard, PA, son of the late Otto L. (Luke) and Bessie Abbey Warner. Upon graduating from Rice Avenue Union High School, David served in both the U.S. Army and the U.S. Air Force. A Vietnam Veteran, over the course of his career, he was stationed in locations all over the world. He retired from the U.S. Army as Sgt. 1st Class in 1975, where he served with the Medical Detachment of the 21st Evacuation Hospital, Ft. Hood, TX. David was awarded the Air Force Longevity Medal, the Good Conduct Medal (4X), the National Defense Service Medal, the Republic of Korea Campaign Medal, the Army Commendation Medal, and the Vietnam Counter Offensive Phase 1 and 2. Following his retirement, David made his home in Punta Gorda, FL, enjoying the company of visiting family members and caring for his parents, for many years. He liked all of his neighbors and service people in the Buttonwood retirement community where he’d lived for the past ten years, upon returning to Florida after a brief move to Arizona. He was an avid cyclist, known to his many friends as “Bicycle Dave” or “Sarge”. He was a member of the American Legion Post 103 in Punta Gorda and the Disabled American Veterans. In addition to his parents, Dave was preceded in death by his sister, Esther Polk (Charles) and four brothers, Lawrence Warner, Kenneth Warner (Helen), Otto S. “Luke” Warner and Victor Warner and brother-in-law, Raymond Scott. 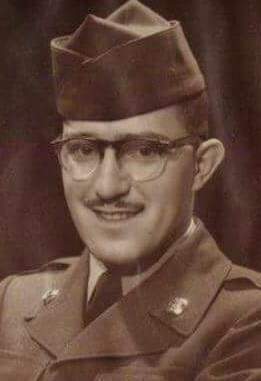 David is survived by his sister, Myrtle “Pinky” Scott of Brentwood, CA and two brothers, Richard “Butch” Warner (Peggy) of Phenix City, AL and James Warner (Dona) of Girard, as well as his sister-in-law, Lucille Warner of Lake City, and many beloved nieces and nephews. A graveside service will be held at Girard Cemetery on Saturday, August 25th at 11:30 a.m. with full military honors. Memorial donations may be made to the Girard American Legion Post# 494, 42 Wall Street, Girard, PA 16417, with special thanks to their Honor Guard.